AGRIS Co-op is pledging $100,00 towards the construction of a new Ontario Sustainable Crop Research and Innovation Centre at the University of Guelph’s Ridgetown Campus. AGRIS Co-operative board President John Nooyen announced at the co-operative’s annual meeting. The proposed new research centre will focus on sustainable cropping priorities for Ontario producers and will feature state-of-the-art research suites, laboratories, seed storage units and research offices. When complete, it will also be a learning centre for agricultural students in diploma, masters or Ph.D. programs. “AGRIS Co-operative has a long association with the University of Guelph, Ridgetown Campus and we are proud to help support the construction of this new Ontario Sustainable Crop Research and Innovation Centre,” said Nooyen. “This will continue AGRIS Co-operative’s rich heritage of leadership in supporting local agricultural initiatives,” added Nooyen. 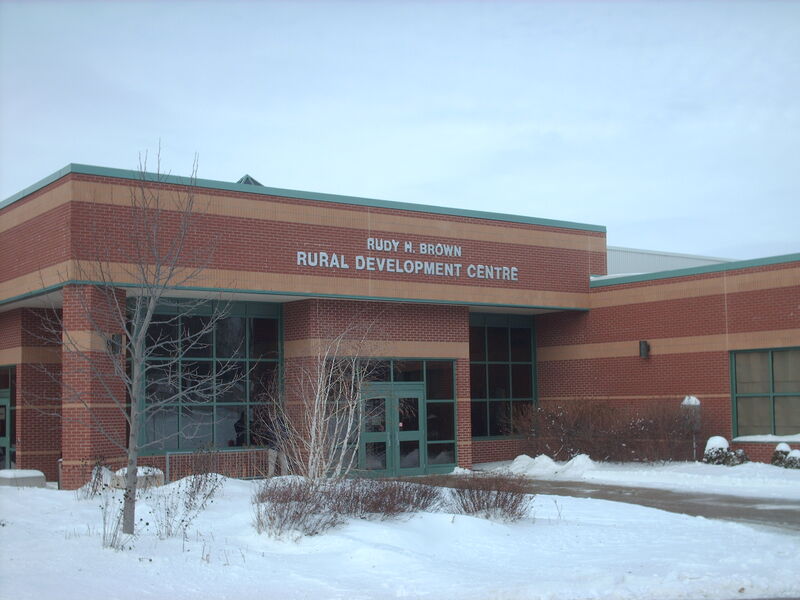 AGRIS Co-operative also assists in supporting other agricultural events at the Ridgetown campus such as the Southwest Agricultural Conference and Crop Diagnostic Days. The new Ontario Sustainable Crop Research and Innovation Centre is part of the work to keep Ontario agriculture globally competitive by addressing issues in production systems, best management practices, crop evaluation, agronomic strategies, trait development, nutrient management, land usage, resource and energy application, variety development and evaluation and plant breeding. “This new Crop Research and Innovation Centre will not only be of tremendous benefit to the students and faculty of the Ridgetown Campus, but also to producers in southwest Ontario and across Canada, providing them with valuable agronomic information,” said Jim Campbell, AGRIS Co-operative general manager. AGRIS Co-operative Ltd. is a 100 per-cent farmer-owned grain marketing and farm-input supply company that serves more than 1,000 farmer owners in 14 locations in Essex, Kent, Elgin, Middlesex and Lambton Counties. BlackburnNews.com is a network of local newsrooms providing timely, accurate multimedia coverage of Southwestern and Midwestern Ontario.